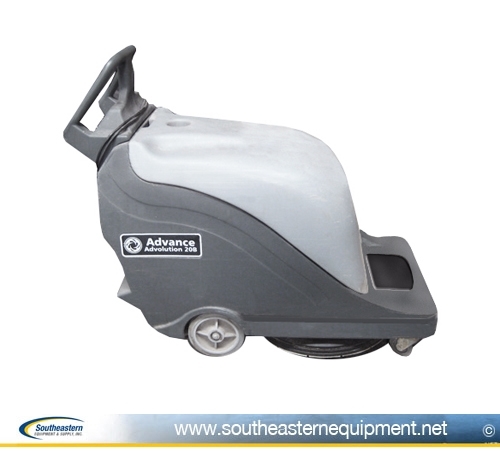 Southeastern Equipment - Reconditioned Advance Advolution 20B Battery Burnisher 20"
The Advolution walk-behind battery burnisher delivers consistent and even polishing with a self-regulating pad pressure and a floating, flexible pad driver. 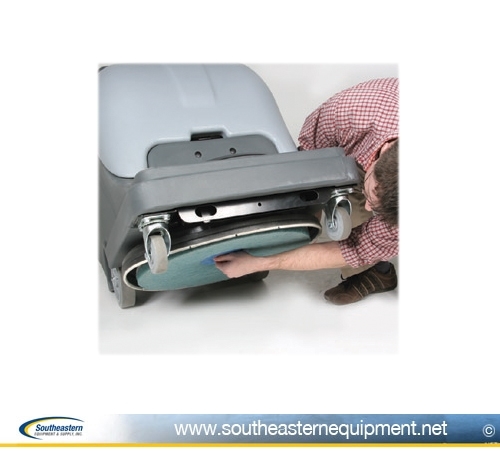 This eliminates the need for operators to make adjustments to the pad pressure. 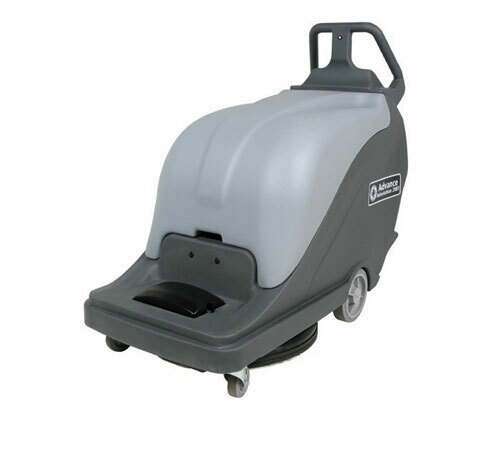 This Advolution has a 20 inch burnishing path with pad assist. 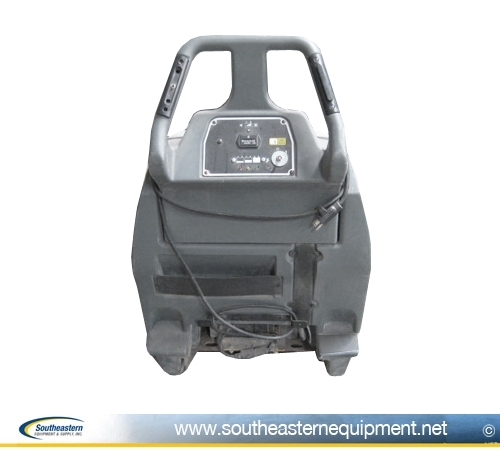 Safety: An angled safety switch ensures that the machine cannot be activated when it is tipped back to conveniently change the pad. 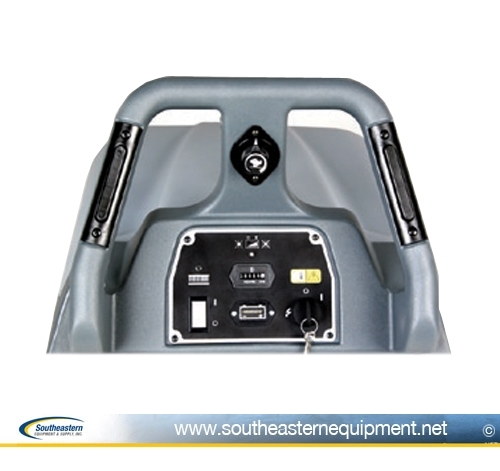 Sustainability: Maintenance-free AGM gel type batteries provide longer run-time and overall useful life (optional). 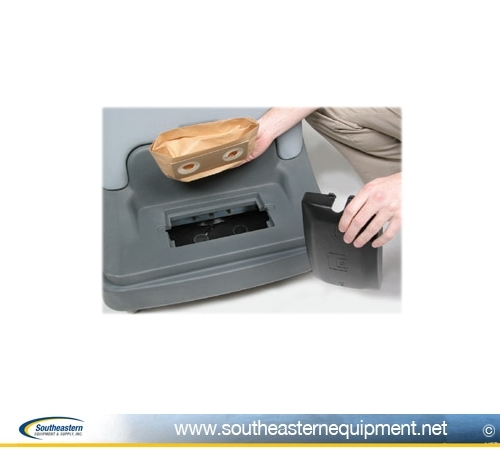 Environmental Impact: Long-lasting AGM gel type batteries eliminate the risk of acid spill and gassing during charging. 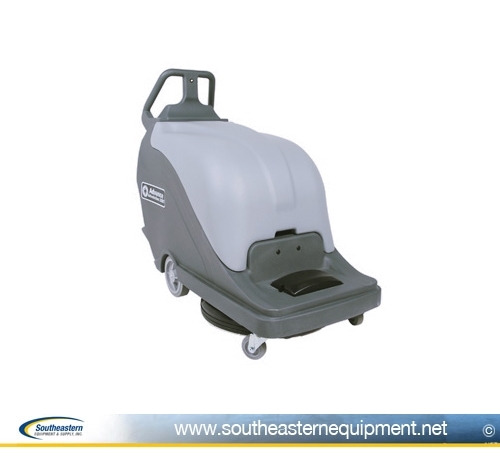 Ergonomics: Operator handles are designed for maximum comfort and maneuverability. Sound Level: At just 65 or 68 dB A, operators can burnish anytime, day or night. Air Quality: An innovative felt-sealed system captures all dust and provides the best dust collection of any burnisher. New Onyx 21" SX Propane Floor Burnisher Reconditioned Koblenz RM-2015 Low Speed Floor Machine New Minuteman Mirage Kawasaki Air-Cooled 17 hp V-Twin Engine, 28" Propane Burnisher, 1700 rpm Reconditioned Tennant 2370 Corded Burnisher Floor Polisher 20"